Long Beach, Calif. – July 23, 2015 – Tickets for the final event of the 2015 Formula DRIFT Championship season go on sale, Monday, July 27. 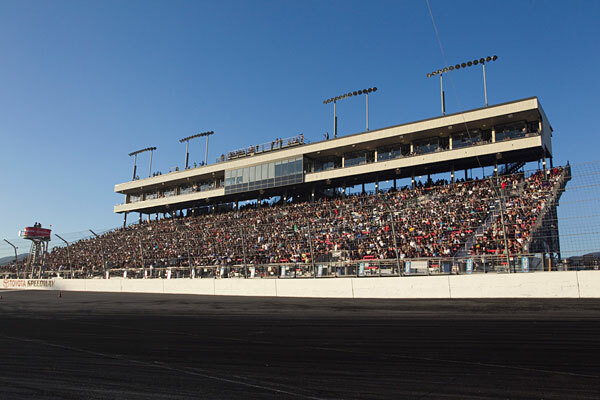 Round 7: Title Fight on October 9-10, 2015 will be held at Irwindale Speedway. VIP Experience ticket options are available. The 2015 Formula DRIFT season will come to a close on October 9-10, 2015 at Irwindale Speedway, which may be the last event for the series at the “House of Drift,” as the venue may undergo demolition. For the past five seasons the event has sold out and early purchase is highly recommended. Tickets will go on sale Monday and will be available on www.formuladrift.com. Reserved tickets are available in the main grandstand and trackside grandstand for Friday, Saturday, and Two-Day. New for this season is the option to purchase a Friday only ticket, which will accommodate more fans over the two days of action. VIP Experience tickets are also available and include a reserved seat ticket in either the main grandstand or trackside grandstand, VIP track walk during Saturday’sopening ceremonies, priority line for the driver autograph session held on Friday, express entrance and a collector’s edition credential. Additionally, the main grandstand sky box VIP suite is available to a limited 24 people that will include a seat in the sky box, food and drinks for both Friday and Saturday and the benefits of the VIP Experience. – Includes assigned / reserved seat located in the main grandstand, VIP track walk during opening ceremonies, priority line for autograph signing (Friday), express entrance and collector’s edition credential. – Includes assigned / reserved seat located on in-field of track, private bathrooms and concessions, VIP track walk during opening ceremonies, priority line for autograph signing (Friday), express entrance and collector’s edition credential. – Includes sky box seat in air-conditioned sky box above main grandstand, private bathroom, buffet dinner and drinks (Friday andSaturday), Driftstream live feed inside sky box, VIP track walk during opening ceremonies, priority line for autograph signing (Friday), express entrance and collector’s edition credential. The championship chase continues into Round 5: Throwdown at Evergreen Speedway this weekend, July 24–25, 2015. For more information visit: www.formuladrift.com and find Formula DRIFT on Instagram, Facebook and Twitter. For more information about the Irwindale Event Center visit: www.irwindaleeventcenter.com. 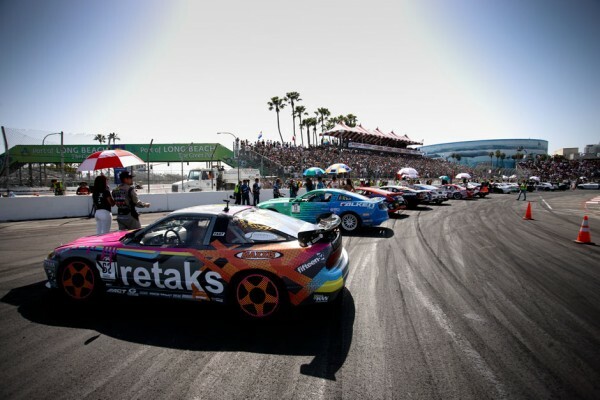 Long Beach, Calif. – October 12, 2012 – Formula DRIFT has announced the availability of tickets for Round 1: Streets of Long Beach on April 12-13, 2013 for the 10th season of competition. Tickets are now on-sale and can be purchased online via the Formula DRIFT website, www.formuladrift.com. Round 1: Streets of Long Beach will be held on the famous Toyota Grand Prix of Long Beach Street Course for the sixth consecutive year, which is the only street course on the circuit. The season opener will feature the debut of new drivers and cars to the Series along with the action and excitement that Formula DRIFT has become known for. Tickets are now available for Round 1: Streets of Long Beach on April 12-13, including reserved seating, 2-day ticket packages, and VIP tickets. Tickets can be purchased online, Ticketmaster outlets, and the Long Beach Convention Center box office. Ticket prices start at $28 online with reserved tickets available for Saturday’s competition day. 2-day packages are also available along with VIP ticket packages. Although online ticket sales are sold out for today, fans are still welcome to come to the venue and purchase them at the box office. Saturday tickets can still be purchased online by clicking here or feel free to purchase them tomorrow at the box office.